We all heard about antioxidants and how good they are for our health, but what do we really know about them and which foods contain them? Our body’s metabolism works most effectively in an alkaline environment, one that is achieved thanks to a diet rich in antioxidants. This article will show you how to get these magical components that help the process of metabolism and protect against cancer, heart disease and allergies. Many studies have proven the link between the quality of our nutrition and our health. But what is a proper nutrition? What it includes? One of the major components in balanced diet is called antioxidants. They are found mainly in fruits and vegetables, and the list of their benefits is huge: they improve the appearance of the skin, reduce the risk of heart and blood vessels disease, maintain brain function and prevent neurological diseases. They are also a major factor in preventing cancer. We all know that without oxygen we cannot exist. But although it is essential to our functioning, it also leads us to illness and death, as it oxygenates anything in our body. Oxidation causes changes in the structure of the cells, proteins and fats in our body, harms the blood vessels and the heart, alters the genetic material found in the cell and damages the brain, eyes and our skin. As the body is aware of the dangers that oxygen brings, the body uses antioxidants that fight free radicals and toxins. In many cases, mainly due to poor nutrition and toxins, our body needs more antioxidants than it can produce. We can supply the required amount only through proper nutrition, and sometimes by taking nutritional supplements. It is important to note that the processes of oxidation in the body is accelerated not only because of a diet low in antioxidants, but also due to stress, pollution, smoking, chronic use of certain drugs, radiation, excessive exercise and chronic lack of sleep . If only we could integrate these magical components regularly in our menu, we would be able to upgrade and improve our health and our quality of life and even lose weight. But how to do it? Antioxidants are found mainly in fruits and vegetables, foods that are broken down in the body to alkaline minerals. Our metabolism functions best in alkaline environment, whereas acidic nutrition considers to be a fertile ground for infections, various diseases and obesity. Such a diet is typically low in antioxidants. Foods rich in beta carotene: carrots, sweet potatoes, pumpkins, squash, mango, pomegranate and parsley. Beta-carotene is an antioxidant that belongs to the carotenoids group. This ingredient is converted in our body to vitamin A in many cases, and has a similar roles. It is considered an important antioxidant against cancer and heart disease, it helps to increase the good cholesterol levels, improves night vision, rehabilitates damaged mucous membranes in the body (mainly gastrointestinal) and strengthens the immune system. Foods rich in lycopene: tomatoes, watermelon, red pepper, radish and red grapefruit. Lycopene also belongs to the carotenoid group, and is the red pigment in tomatoes and red fruits and vegetables that keeps its health properties even after cooking. It reduces significantly the risk for different types of cancer and heart disease. Research in recent decades indicates that lycopene reduces the risk of cancer and heart attacks and helps reduce cholesterol. Lycopene can be consumed as a dietary supplement, but you can get without much effort a respectable amount of lycopene through diet. There is no recommended daily consumption of lycopene, but studies indicate that intake of about 30 mg of lycopene a day was found helpful. This is the amount as in a cup and a half of tomato juice or a serving of spaghetti with tomato sauce. Lycopene is the pigment that gives fruits and vegetables their red color and is considered a strong and effective antioxidant. As an antioxidant it helps to repair or prevent damage to cells, and several studies have found that it helps to reduce the risk of several types of cancer and heart disease. Some studies suggest that fruit and vegetable-rich diets may be linked to reduced cancer risk. While it has not been well studied in humans, early research suggests that lycopene may help prevent a number of different cancers, including colon cancer, prostate cancer and skin cancer. A study publishes in the Journal of the National Cancer Institute has found that frequent consumption of tomato products may be associated with a reduced risk of prostate cancer. Two other published studies from the Harvard School of Public Health in Boston and Sant’Andrea and Fabia Mater Hospitals, both in Rome, suggest that lycopene may help protect against the development of prostate cancer. Another study indicates that lycopene is one of the nutrients that demonstrated clear anticancer effects toward melanoma. Another animal study showed that frequent intake of lycopene over a long period of time considerably suppressed breast tumor growth in mice. Other studies show that a high consumption of lycopene may reduce the risk of heart disease, stroke, atherosclerosis and retinal degeneration. Harvard University study suggested that lycopene, in addition to its ability to attack free radicals, may also reduce inflammation and cholesterol, improve immune function, and prevent blood from clotting. All of these may help reduce ischemic strokes, which are caused by clot-caused blockages in blood flow to the brain. Unlike other components, lycopene is not destroyed in cooking. In fact, you can find more lycopene in cooked tomatoes: ½ cup of tomato sauce contains identical amount of lycopene to that in 5 medium tomatoes. In addition, lycopene is dissolved in fat, and adding olive oil, for example, will help its absorption in the body. Other than tomatoes, you can find lycopene in guavas, watermelon, papaya, red grapefruit, cooked sweet red peppers, red cabbage, cooked asparagus, mango and carrots. 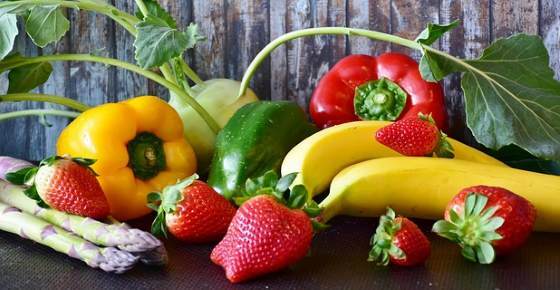 It is a good idea to add these fruits and vegetables to your diet, along with other colored fruits and vegetables to ensure you receive other essential nutrients. Foods rich in luteing: green leafy vegetables. This is another member of the carotenoids group and is found mostly in green leaves. The leaves also contain phytochemical named chlorophyll, known to have many health benefits (see my article How to Detoxify Your Body Using Chlorophyll). Lutein has been linked primarily to treat and prevent vision and eye problems. Foods rich in vitamin C: citrus fruits, broccoli, guava, kiwi fruit, strawberries, peppers, papaya and many more. Berries are especially high in vitamin C. You can find easy and nutritious berry recipes in my e-book The Healing Berry Guide. This e-book will teach you how to transform your health with berries and their amazing health benefits. A lot of things have been said about vitamin C. Here is just a partial list of the benefits of this antioxidant: strengthening the immune system, treating infections, treating respiratory problems and allergies, protecting against cancer, maintaining normal heart function, treating chronic stress, accelerating weight loss, treating arthritis and improving vision. Foods rich in bioflavonoids: apple, onion, citrus fruits, pomegranate, green tea, blueberries and purple grapes. Bioflavonoids are found primarily in foods that also contain vitamin C, and together they form a strong and stable structure of antioxidants that are good for strengthening the immune system, treating respiratory problems, treating allergies and infections, preventing cancer, treating inflammatory diseases and prevent heart disease. Foods rich in vitamin E: vitamin E is found in many foods such as whole wheat, eggs and fish, but the main concentration is found in vegetable oils such as olive oil, wheat germ, avocados, seeds and various nuts. The main function of vitamin E is treating cardiovascular diseases: vitamin E reduces bad cholesterol and increases good cholesterol levels, is a natural blood thinner and reduces the risk of stroke. In addition, it helps to treat nerve problems, prevent cancer, improve lung function, relieve arthritis pain and symptoms associated with menopause and strengthening the immune system. Foods rich in selenium: Brazil nuts. Selenium is another antioxidant which is the best mineral to treat heart problems. It helps the body prevent cancer and other autoimmune diseases, it is anti-inflammatory and helps in detoxification of toxic metals that are accumulated in our body and improves the functioning of the pancreas. Excess of selenium is considered toxic, so the recommendation is to consume no more than 2-3 Brazil nuts a day. You can find more helpful information about how to detoxify your body in my e-book The Detox Guide which will teach you how to cleanse and energize your body naturally and safely. Coenzyme Q10 (CoQ10), also known as ubiquinone, is a fat-soluble molecule that is vitamin-like. It plays an important role in energy production and is essential for those organs that have high energy requirements – such as the heart, liver and kidney. This antioxidant strengthens the immune system, treats high blood pressure, helps to balance diabetes, helps in weight loss, helps in cancer prevention and treats chronic fatigue. Another key role is strengthening the heart muscle and preventing muscle pain, which are known side effects if you are treated with statins. It had been discovered that people with heart failure suffer from CoQ10 deficiency. Their condition gets more severe when the deficiency is more pronounced. A group of researchers from the Heart Center at Copenhagen University Hospital in Denmark studied the effects of coenzyme Q10 on heart failure patients. When patients took 100 milligrams of CoQ10 three times a day, the effects on their heart condition were very positive, which gave credibility to CoQ10 therapy. The Danish study was a randomized controlled trial. 420 patients with moderate to severe heart failure were followed for two years. Half of the participants received CoQ10 three times a day, while the other half received a placebo. By the end of the study, deaths in the CoQ10 group were significantly lower (18 deaths versus 36 deaths in the placebo group). Also, patients taking the supplement required less hospitalizations compared to their peers that were taking the placebo (29 versus 55). The findings prompted the head of the research group, Professor Svend Aage Mortensen, to announce: CoQ10 is the first medication to improve survival in chronic heart failure since ACE inhibitors and beta blockers more than a decade ago and should be added to standard heart failure therapy. Other researchers have shown more caution. Dr. Margaret Redfield, head of the circulatory failure research group at Mayo Clinic, said that the trial is considered to be a small one and that the results need to be interpreted carefully. Dr. Gregg Fonarow, a professor of cardiology at the University of California, Los Angeles, and a spokesman for the American Heart Association, acknowledged the study but called for a confirmatory trial. A 2014 Cochrane Collaboration meta-analysis reviewed all of the existing randomized trials that examined CoQ10 as a treatment modality for heart failure. They concluded that there is no clear evidence to support or refute the use of coenzyme Q10 for heart failure. Coenzyme Q10 is normally produced by the body and is needed for the function of every cell. It’s a powerful antioxidant and it’s one of my top 9 antioxidants for great health. Its levels decrease with age and may be low in people with cancer, certain genetic disorders, diabetes, heart conditions, HIV/AIDS, muscular dystrophies, and Parkinson’s disease. Certain fruit and vegetables (apples, berries, spinach, oranges, cauliflower, broccoli, strawberries and black currents). If eating meat, chose grass-fed and free-range meat. As the CoQ10 is fat-soluble, it should be eaten with a meal that contains fat. CoQ10 can also be taken as a dietary supplement. In the US, it’s regulated as food and it’s not yet approved for the treatment of any medical condition. CoQ10 can also reduce blood pressure and it’s one of my recommended substances to naturally reduce high blood pressure. Foods rich in alpha lipoic acid: yeast, broccoli, spinach and potatoes. This is a less known antioxidant but it has a very important role: this acid encourages the body to convert food energy more efficiently, thus preventing food to be stored as fat. In addition, it has an effective role in getting rid of toxins from the body, strengthening the immune system and also helps diabetics – it helps to balance blood sugar levels and prevents damage to the eyes as well as nerve damage which are known side effects of diabetes. So after being more familiar with these antioxidants and their importance to our overall health, make sure that you get enough of these amazing components in your daily nutrition. One of the main problems in cooking our food is that some of the vitamins are destroyed in the process and some cooking methods can leach the minerals and other nutrients out of foods. This problem prevents our body from getting what it needs from the food, which can lead to the beginning of the shortage of vitamin and mineral reserves in the body. The matter is even more complex for people who suffer from digestive problems. This is due to the fact that cooking allows food to digest more easily in the affected intestine, but this food is more meager in the “building blocks” that build our body. But dieticians explain what are the best cooking methods and how to cook right to keep nutritional values for maximum health. Using healthy cooking methods is also one of the 70 habits featured in my e-book 70 Powerful Habits For A Great Health which will guide you how to take positive steps to improve your wellness and overall health. Here you can find the best cooking methods and tips to keep nutritional values ​​while cooking. These cooking methods suitable for people suffering from digestive problems and for healthy people who want to “get more” from their food. Quick Cooking: The longer you heat the food, the bigger vitamins destruction is. Particularly susceptible to destruction are water soluble vitamins like vitamin C and vitamin B group. Low cooking temperature: the higher the cooking temperature, destruction of vitamins and nutrients increases. Minimal exposure to light: cover the cooking pot to avoid possible exposure to light that affects vitamins. This way you can also shorten the cooking time. Avoid frying: heating oil causes the appearance of carcinogenic and pro-inflammatory substances and causes the destruction of carotenoids, like pro-vitamin A. When you cook vegetables, use their cooking water for soup or rice, so the vitamins and the minerals that are in the cooking water won’t go down the drain, but will go instead to your body. Steam cooking is cooking at a lower temperature than boiling or in the oven, and thus the impact on vitamins and minerals is small. In addition, it saves the cooking water and preserve most of the minerals in the food. You can steam almost all vegetables – zucchini, squash, carrots and so on. Here too there is no use of cooking water. For example: cooking potato with their skins preserves the vitamins and minerals. That way you can retain about 80% of Vitamin C.
Preserving the nutritional value of food that we eat is essential to our health and you should always check whether your body gets what it needs. Therefore, it is important to do nutritional testing of vitamins and minerals to check deficiencies or excess which may also cause damage.